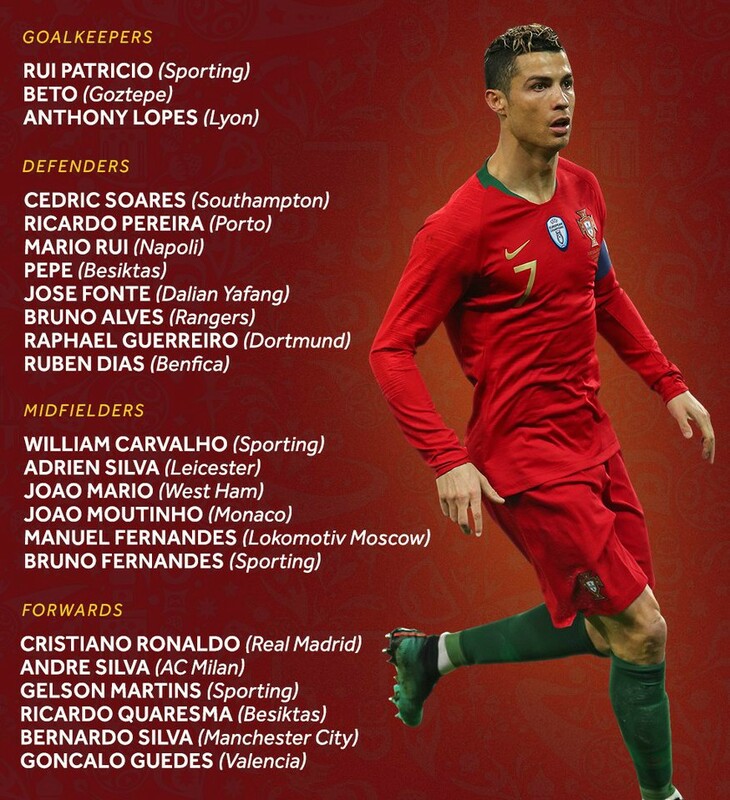 Nani, Eder and Andre Gomes were among the big names missing out as Portugal announced their 23 man squad for the World Cup. Other notable exclusions were Ruben Neves, who has had a stellar reason with Wolverhampton Wanderers in the Championship and Nelson Semedo. A total of 10 players who were in the Seleccao’s Euro 2016 winning squad failed to make the cut, with Danilo, Renato Sanches, Eduardo, Ricardo Carvalho, Eliseu, Vierinha and Rafa Silva also excluded by coach Fernando Santos.